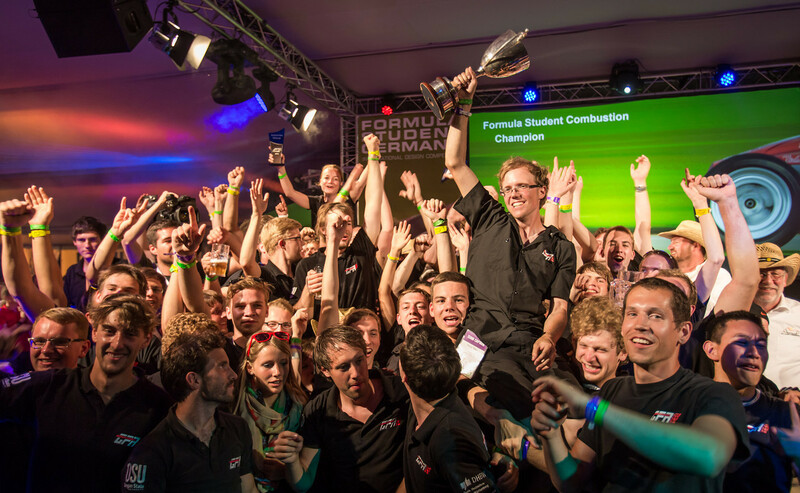 GFR wins overall Formula Student Germany Combustion! All of us at GFR thank you for the support of our team. We cannot be as accomplished without the support from all of our sponsors, family, friends and fans. A special thanks is given to Oregon State University and DHBW Ravensburg for the continued support of our faculty and team members. After five full days of competition at the Hockenheim Ring, GFR has achieved an amazing result. The combustion car won overall and the electric car performed impressively.